Crystal turquoise waters, the wind in your hair and memories that last a lifetime? Er, yes please! 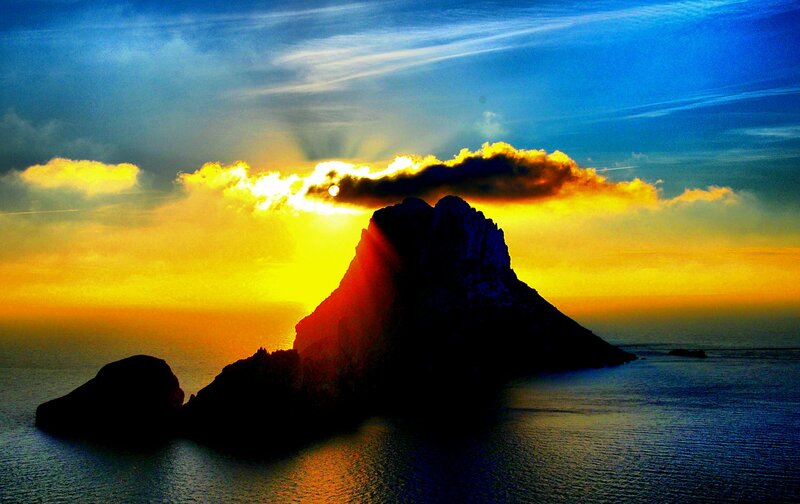 Without a doubt two of the most spectacular places to visit during your precious Ibiza holiday are our stunning sister island of Formentera and the mysterious enigma that is Es Vedra. The news is that Ibiza Spotlight have now teamed up with Ulises Cat Boat tours to offer you the chance to book an unforgettable Ibiza day out from the comfort of your own home. And what's more, we've negotiated a very decent 10% discount for you, dear reader! So which one floats your boat? Formentera or Es Vedra? The choice is all yours. Great for early risers, your cruise begins at either the port of Figueretas (9.45am) or Playa den Bossa (10am). You'll enjoy a leisurely cruise over to Formentera with the wind in your hair, wearing deliciously light summer clothes and (we predict) a big smile! Once you get there, you'll have a few hours to explore this ancient and beautiful paradise island that was once a refuge for pirates, ou arrrr! The glass-bottomed boat lets you see deep down into the gorgeously transparent water and its abundant marine life. You can either use the frequent bus service to get around the island, or hire a bike, scooter or car (not included in the price) if you want to explore a little more thoroughly. Then back to your boat at 5pm to relax and enjoy the blissful journey home to Ibiza, taking in the beauty of the south coast of the island, perhaps sipping a cool drink from the on-board bar. Why not? You're on holiday! Great for those that prefer a lie-in, your trip to the stunningly enigmatic Es Vedra begins at either Figueretas (12pm) or Playa den Bossa (12.15pm). Your 3 hour cruise will take in the ruggedly beautiful west coast of Ibiza, before arriving at that ancient and legendary Ibiza landmark, Es Vedra. Drinks and snacks are available on-board and there's a half-hour stop for swimming too. And how much does it cost to merrily cast away your troubles and sail away on one of these wonderful Balearic cruises? A very affordable €19.80 for Formentera or €22.50 for Es Vedra. Less than half price for children and it's suitable for all ages. To book in advance (it takes 2 minutes) just click here. Top tip: Don't forget your swimwear, sunscreen and sunglasses!